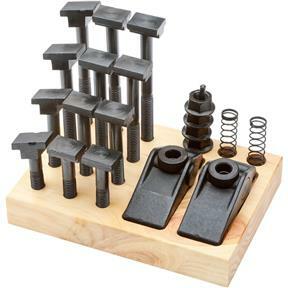 Add versatility and speed to your clamping operations with this clamping kit. Forged clamp heads with brass shields reduce marring and pivot for a range of 0" to 2-3/8" (without blocks). 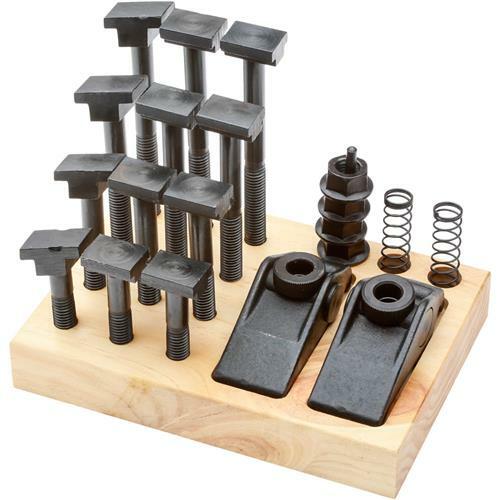 Set includes 2 each: 3", 4", 5", 6" - 1/2" tee bolts, 4 flanged nuts, 2 forged clamps and 2 support springs. It does everything it is designed to do for short money. Can't wrong here. 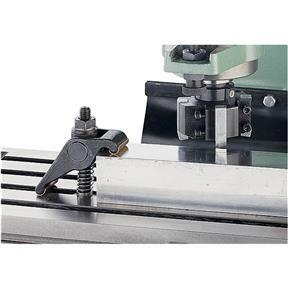 I am using the clamping kit in making a table for our local Museum. It has been a great help in the process. I am very pleased with this product. Added this set to the set I already have. Occasionally, you just need more.